NEW Tetra EX 600 Plus External Aquarium Canister Filter Fish Tank. Condition is New. Dispatched with Royal Mail 1st Class. Tetra Tablets TabiMin 1040 Tabs. The optimal, varied nutrition for bottom-feeding and timid fish. Tablets sink quickly, can be placed where needed and release the food slowly. Below 10°C, stop feeding Tetra Pond Sticks and switch to Tetra Pond Wheatgerm Sticks. TETRA FLOATING STICKS 10 LITRE 20% EXTRA FILL . The Active formula maintains a healthy immune system. 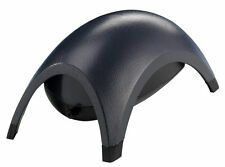 TetraTec CF Carbon. 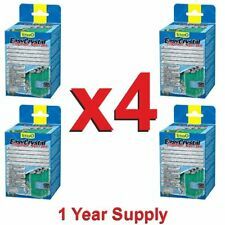 CF 600/700/1200/2400 - fits all TetraTec EX filters. Rinse well in lukewarm water prior to use. Replace every 2 - 4 weeks to maintain efficient filtration of aquarium water. It's huge! Tetra Pleco Spirulina Wafers 150g. Due to the solid consistency the wafers do not cloud the water. 100% vegetable premium food for bottom feeding fish. Tetra Repto DecoFilter RDF300. Ideal for Turtles, Terrapins, Crabs, Frogs, etc. Suitable for aqua-terrariums up to 200L, filters a maximum of up to 70 litres of water (as aqaurium won't be full). Powerful 3.5w pump. We will discuss the matter directly with you to ensure that you receive the minimum of inconvenience. It's huge! As such, we have a huge wealth of experience in online trading. At present we list nearly 5,000 specialist aquarium & pet products suitable for Aquatic, Reptile, Cat and Dog enthusiasts. Tetra Wafer Mix 68g. Nutritionally balanced premium food for bottom feeding fish and crustaceans. Due to the solid consistency the wafers do not cloud the water. With colour concentrate for excellent natural colouration. Tetra Tetramin Flakes 52g. Excellent floating and sinking behavior of the flakes provide a species appropriate food intake. Mixture of seven different flakes consisting of more than 40 high-quality raw materials. Fish | Tetra. STEFMAR don't hide who we are. Price Match. Low Prices - We research on the web to make sure our prices are the lowest anywhere. We can usually give you a better deal than our competitors. Tetra Pond Variety Fish Sticks 4L / 600g (Posted Today if Paid Before 2pm) TetraPond Variety Sticks are made using Tetra's advanced extrusion process, meaning that not only are they highly digestible and nutritious, but that they quickly soften in the water (without falling apart) making them easy for the fish to eat. They contain: Wheatgerm Sticks which contain high levels of certain vitamins and oils, and which are beneficial during colder parts of the year; Koi Sticks which contain high levels of colour enhancers, and the increased protein levels needed by these fish; Floating Foodsticks which are an all-round complete diet for every pond fish. This combination ensures that your fish receive a varied diet that is nutritionally complete. 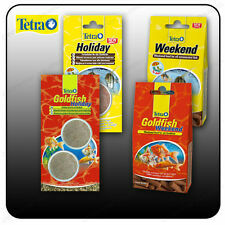 Tetra Cichlid Colour Pellets 165g. The new Multi Pellet formula contains natural colour enhancers for bright colouration of all red, orange and yellow Cichlids. Complete food for all Cichlids. Tetra Fresh Delica Brine Shrimp. Practical gel food enables targeted feeding. For healthy feeding fun and interaction with the fish. Contains up to twice as many nutrients as frozen food. Below 10°C, stop feeding Tetra Pond Variety Sticks and switch to Tetra Pond Wheatgerm Sticks. TETRA POND VARIETY STICKS FLOATING FISH FOOD . Tetra Pond Variety Sticks 1L / 150g - Mix of 3 Different Food Sticks For Fish (Posted Today if Paid Before 2pm) TetraPond Variety Sticks are made using Tetra's advanced extrusion process, meaning that not only are they highly digestible and nutritious, but that they quickly soften in the water (without falling apart) making them easy for the fish to eat. They contain: Wheatgerm Sticks which contain high levels of certain vitamins and oils, and which are beneficial during colder parts of the year; Koi Sticks which contain high levels of colour enhancers, and the increased protein levels needed by these fish; Floating Foodsticks which are an all-round complete diet for every pond fish. This combination ensures that your fish receive a varied diet that is nutritionally complete. Tetra Tabimin 275 Tablets - Food For Catfish, Bottom Feeder & Tropical Fish (Posted Today if Paid Before 2pm) Complete food for all bottom feeders. It is an ideal food for ornamental fish that live near the bottom of the aquarium e.g. catfish, loach etc. They allow timid fish to be fed since the tablets can be deposited in well hidden places. Powered by [eBay Turbo Lister] (https://pages.ebay.com/turbo_lister/). Tetra Tetramin Flakes 200g. Excellent floating and sinking behavior of the flakes provide a species appropriate food intake. Mixture of seven different flakes consisting of more than 40 high-quality raw materials. Tetra Cichlid Colour Mini Pellets 170g. The new Multi Pellet formula contains natural colour enhancers for bright colouration of all red, orange and yellow Cichlids. Complete food for all smaller Cichlids. Tetra Pond Multi Mix 4L / 760g - Complete Food For Mixed Stock Of Fish & Koi (Posted Today if Paid Before 2pm) TetraPond Multi Mix balanced diet for mixed pond fish. TetraPond Multi Mix has been specifically developed for the needs of pond fish and their varieties, giving them a healthy and varied diet. Different food sticks, flakes, sinking tablets and river shrimp for growth, colour, health, and vitality. Protein 39.0% Oil 6.0% Fibre 2.0% Ash 10.0% Moisture 7.0% Vitamin A 26368iu/kg Vitamin D3 1405iu/kg Vitamin E 113mg/kg L-ascorbyl-2polyphosphate 132mg/kg BELOW 10*c - Switch to tetra pond wheatgerm sticks. 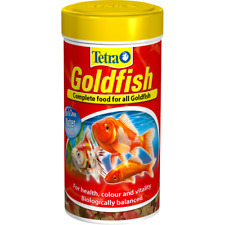 Tetra Pond Fish Pellets 4L / 1030g - Complete Fish Food For Goldfish Koi Orfe (Posted Today if Paid Before 2pm) TetraPond Pellets have all the benefits of Floating Foodsticks in a pellet format, for people who prefer to give their fish pellets. They contain all of the nutrients needed by pond fish, in correctly balanced quantities to ensure optimum digestion and minimum waste. This means less pond maintenance and better water quality. 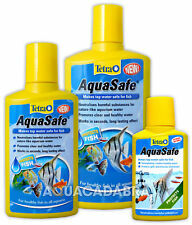 They also promote excellent health, colour and condition, to keep your fish at their best. Powered by [eBay Turbo Lister] (https://pages.ebay.co.uk/turbo_lister/). Tetra Amazonas Deco Art Amazonas Plastic Plant. Plastic plant decoration from Tetra. As such, we have a huge wealth of experience in online trading. At present we list nearly 5,000 specialist aquarium & pet products suitable for Aquatic, Reptile, Cat and Dog enthusiasts. Fish | Tetra. STEFMAR don't hide who we are. Stefmar Pet Care has been in the industry since 1992. Price Match. Low Prices - We research on the web to make sure our prices are the lowest anywhere. We can usually give you a better deal than our competitors. Tetra Tablets TabiMin 275 Tabs. The optimal, varied nutrition for bottom-feeding and timid fish. Tablets sink quickly, can be placed where needed and release the food slowly. Tetra Fresh Deliva Bloodworms. The Bloodworms are preserved in a in a nutrient and vitamin-enriched jelly, and so do not need to be kept in the fridge or freezer, and they do not need to be handled. Tetra Fresh Bloodworms have been designed to provide all the benefits of live food without any of the problems of storage, handling and incomplete nutritional profiles.